The insurance companies won’t tell you that even their own research proves that people who are represented by attorneys end up with almost three and one-half times more money than people who try to settle with the insurance company on their own. The Insurance Research Council, a research organization funded by the insurance companies, did a study comparing what people received for the same injury when they were represented by attorneys versus what people received when they were not represented by an attorney. The Insurance Research Council determined that people who had attorneys received almost three and one-half times more, and that was after the attorney’s fees were paid. That means for example, that if an insurance company is willing to pay someone who is not represented by an attorney $7,000, then a person with the same injury who is represented by an attorney would have received almost three and one-half times that amount, or almost $25,000 – an extra $18,000 in the pocket of the injured person, after attorney’s fees were paid. This means that with an attorney, the same case that settled for $7,000 would have settled for $35,000 with an attorney and, after attorney’s fees of one-third of the settlement, the injured person would have received $25,000 in their pocket, an extra $18,000 more than the person who did not get an attorney. It is important to remember that this is the insurance company’s own research that shows people receive more money when they have an attorney. That is why the insurance company does not want you to know this, because if you knew this, you would get an attorney and the insurance company would end up paying you a lot more for your injuries. In another example of this, if the insurance company would have paid $10,000 to a person who did not have an attorney, the same person represented by an attorney would have walked away with $35,000 in their pocket, $25,000 more in their pocket than the person who did not get an attorney. That means the case would have settled for almost $52,000 and, after attorney’s fees of one-third of the settlement, the person represented by an attorney would have received $35,000, an extra $25,000 more in their pocket than the person who didn’t get an attorney. The insurance company won’t tell you that when someone else hits you, even if all you end up with is neck or back soreness or stiffness, and even if it’s only when you overdo it that you have continuing pain or soreness, you should still receive a monetary settlement for that injury. Not only will the insurance company not tell you that, but if you speak with the insurance company adjuster on your own, they will use what you say about your injury against you and when it comes to a settlement, they will probably say your injury does not qualify for a settlement, or only a very small settlement. You should know that every time you speak with the insurance adjuster, they will either be recording the conversation or taking extensive notes about everything you say. That is why it is very risky to speak directly with the insurance adjuster rather than have an attorney do it for you, because you will probably answer the insurance adjuster’s questions in a way that can be easily used against you, later on, to deny you a settlement, or reduce your settlement in an unfair way. And you will have to continue to speak with the insurance company and answer questions because they will keep calling you on a regular basis until you either get an attorney or settle your case. otherwise you didn’t do enough to try to avoid the accident.” That is also why it is risky to speak directly with the insurance adjuster rather than have an attorney do it for you. If you do not have an attorney representing you, the insurance company will ask you directly to sign documents, without explaining to you all the consequences of those documents. One thing they will ask you to sign will be an authorization for the insurance company to directly contact your doctor, and even doctors you saw before this accident, and get your records and information directly from the doctor’s office, which they should not be allowed to do. The medical information about your injuries and treatment or previous treatment should not be provided directly to the insurance company without you knowing what records they are getting or without your having an opportunity to first review those records yourself, know what is in the records, confirm the accuracy of what is in the records, and that it even relates to this accident. You need to be particularly concerned about anything in the records about what you said to the doctor about how the accident happened, what your initial complaints were right after the accident or information in the records about any prior injuries you may have had. Even if the record is incorrect or misleading, this information can be used against you by the insurance company and you may not even know what’s in the records or how to straighten out any confusion that may be created by inaccuracies in the records, or any other information the insurance company gets directly from the doctor’s office. Another document the insurance company will ask you to sign will be a release. The insurance company will usually not explain what you are signing, but signing a document like that can result in your losing any right to any further compensation. It is also important not to sign this kind of document, or settle your case at all until your medical treatment is finished and your doctor has done a final evaluation report, and an attorney has told you what you should be entitled to as a settlement. Once you sign a release form, you normally cannot go back and undo it, even if it turns out you didn’t really understand what you were signing. Another thing the insurance companies won’t tell you about is that if you are not seeing a doctor after your accident, the insurance company won’t say anything at first because they don’t really want to pay for your seeing a doctor. However, when it comes time to resolve the case, the fact that you did not have follow up care with a doctor or physical therapy, even though you were having some problems, will mean that your continuing injury has not been “documented”, and the insurance company will suggest to you that you are not entitled to compensation because your injury was not documented by a doctor. The insurance company will also not tell you that if you are represented by an attorney, you can probably obtain medical treatment without having to pay anything at all out of pocket as you are being treated. The attorney will make sure that any unpaid bills are ultimately paid by the insurance company and that means you don’t have to pay anything now or take any risks that you might ever have an unpaid bill to worry about. The insurance company won’t tell you that you will not receive full compensation for your injuries unless a doctor does a written final evaluation report and “rating” for your injury, in accordance with criteria set forth by the American Medical Association. This written report answers a lot of legal questions about your injury and treatment. Not all doctors are willing to do these reports and ratings and some doctors do not even know how to do these reports and ratings. Also, the doctor will normally need a written request from an attorney before they will do this report and the report has to be paid for separately by the attorney because it is not medical treatment, but a legal report. The best way to protect yourself is to get advice from an attorney about the doctor you see and to have an attorney obtain the appropriate final evaluation and rating at the appropriate time from the doctor. when a car is repaired if they find some additional damage beyond what the original estimate said, the insurance company should pay for that additional damage. If your car is damaged beyond the value of repairing the car, the insurance company should pay you the value of that car before the accident. The insurance company will try to limit the value they pay you to what’s in a “Blue Book” type estimate, but there are ways to have the insurance company pay more than that for your particular vehicle, but they won’t tell you about that. Also, when it comes to a rental car, the insurance company often times limits the time they give you for the rental car to a shorter period of time than Florida law gives you. Because the insurance company wants to pay you as little as they can get away with, they don’t want you to have the assistance of an attorney, so they will not tell you how easy it is to speak with an attorney and get information, without it costing you anything or without you having to hire the attorney. They won’t tell you that there are lawyers who will give you free information over the phone, without having to pay anything or without having to hire the attorney, and without even having to go to the attorney’s office. The insurance company also won’t tell you that there are some attorneys who will meet you at your home, or a place that is convenient for you, and that there are some law firms where you meet directly with the attorney and not just an “investigator” or “paralegal”, which is what most law firms give you. In fact, not only can you speak with an attorney for free and without having to hire the attorney, but you can also talk with more than one attorney and compare the attorneys. Even if you’ve already hired an attorney, you can still get a second opinion about your case for free from another attorney or ask a second attorney any questions you have about your case. You also have the right to change attorneys if you want to. The insurance company also won’t explain that being represented by an attorney can actually make the handling of your case more simple and easier for you. 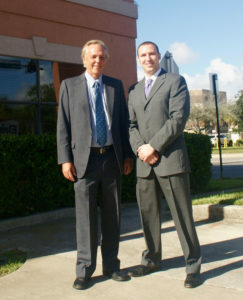 Some people think that getting an attorney might complicate matters or make things more difficult. Actually, it can be easier when you have an attorney because all of the decisions about what to say to the insurance company, and what papers you sign for the insurance company, are all taken care of by the attorney. The insurance company will stop calling you and the attorney will answer all their questions for you. Then you don’t have to worry about them calling you or wonder if you are saying anything that’s hurting you or signing anything you shouldn’t be signing. All you do is focus on getting better and the attorney will do everything else for you. The insurance companies also don’t explain that getting an attorney to help you with an accident claim is not the same as deciding to “sue” somebody or go to court. In fact, most cases are settled very soon after a person finishes their medical treatment and the doctor does a final evaluation report, without the case actually going to trial or even a suit being filed in court. An insurance company may tell you that the driver that hit you has no insurance or just a minimal amount of insurance, or that you do not have uninsured motorist’s coverage. The actual insurance records should be reviewed to determine what amount of insurance is actually available for you. For instance, with regard to uninsured motorist’s coverage, to take care of a situation where the person that hit you does not have insurance, if you did not sign certain documents or the insurance company cannot locate those documents, then you will be considered to have that uninsured motorist coverage whether you actually paid for it or received it at the time. Regarding the other person’s insurance company, sometimes the insurance coverage may be “stacked”, or increased, because of multiple vehicles and the insurance company does not always tell you that there is additional coverage available. Also, there may be additional “medical” coverage you may not know about. Anything the insurance company says about limits to the amount of insurance should not be accepted until all of the relevant documents have been reviewed. Ken Howell is a Jacksonville personal injury lawyer who has over twenty years experience handling car and truck accident cases. He offers free consultations over the phone or in person. 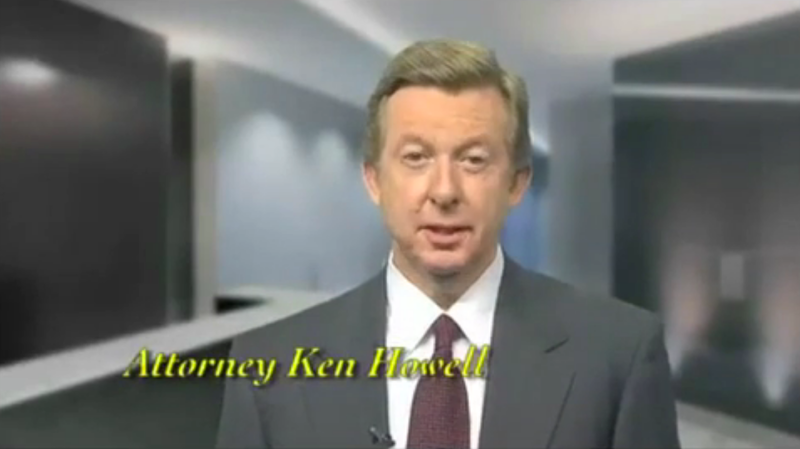 He can be reached at (904) 350-3600 or toll free at 888-445-7293 or by email at ken@TheHowellLawFirm.com. He graduated from the University of Florida and received his law degree, with honors, at Florida State University. He is a member of the Florida Bar, the Jacksonville Bar Association, and the Florida and national trial lawyer’s associations. Ken served in the military as a Lieutenant and was Special Counsel to former Florida Governor, Bob Graham.